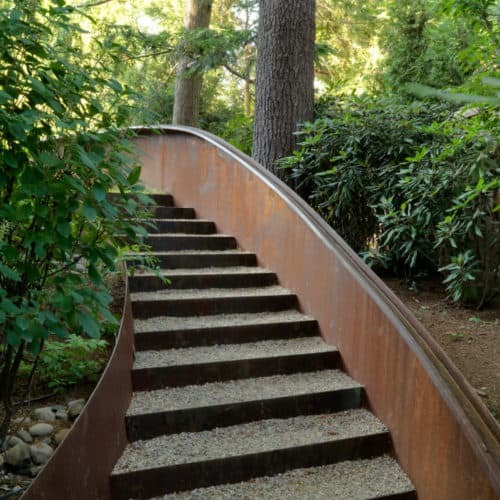 JMMDS created a garden of living walls and Corten-steel around a tall contemporary house that sits on a narrow lot overtopped with giant pine trees. 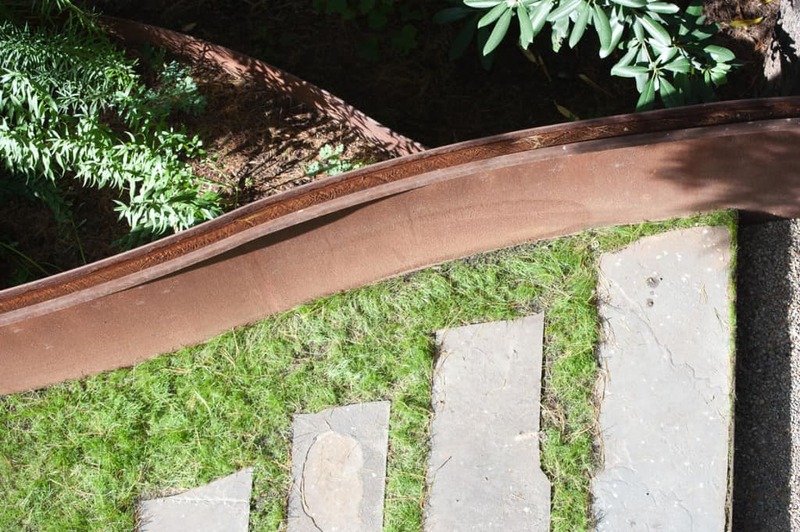 The green wall greets the visitor at the front of the house while a water rill of Corten-steel recirculates around the side and back. 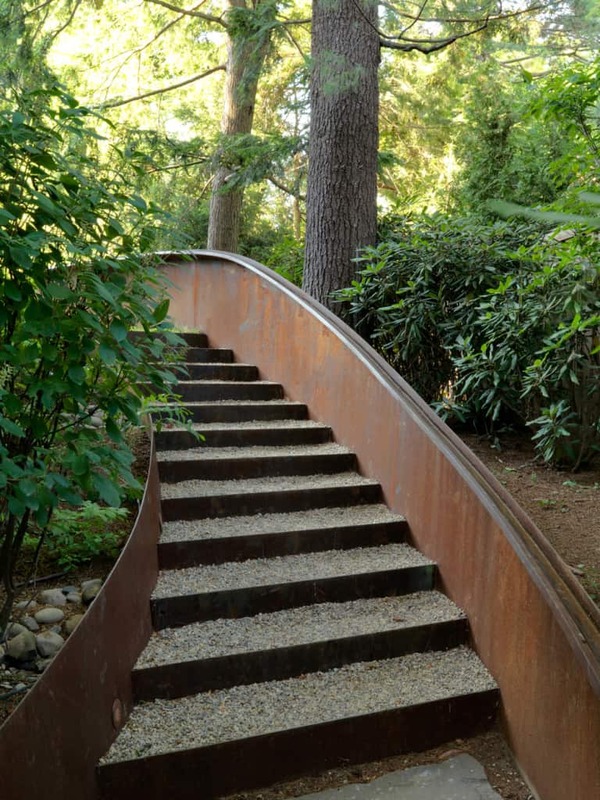 Devised to minimize root disturbance for the tall existing pines on the property, the continuous Corten steel structure is supported by concrete tubes rather than a foundation that would have required extensive excavation. 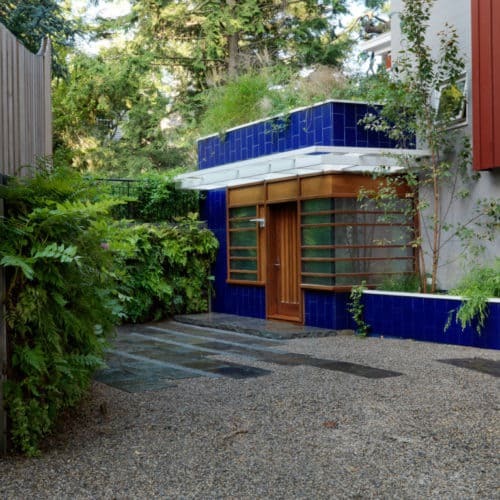 An elegantly curved wall of shade-loving native plants softens a six-foot high concrete retaining wall at the entry court that doubles as a turn-around and parking area. Native plants such as ferns, Solomon Seal, and foamflower fill the cells of the verdant vertical wall, offering privacy, textural interest and beauty for this welcoming entryway. 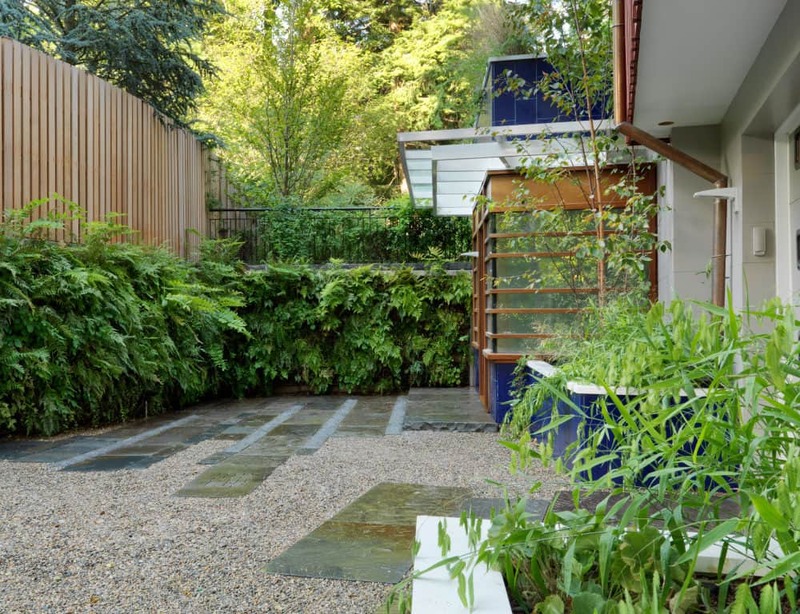 New York State bluestone and limestone planks set into a sea of pea gravel bear the weight of vehicles while allowing rainwater to permeate into the ground to reduce run-off. 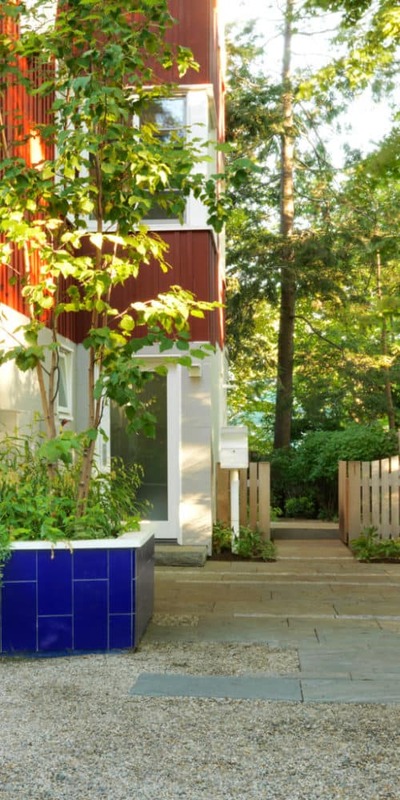 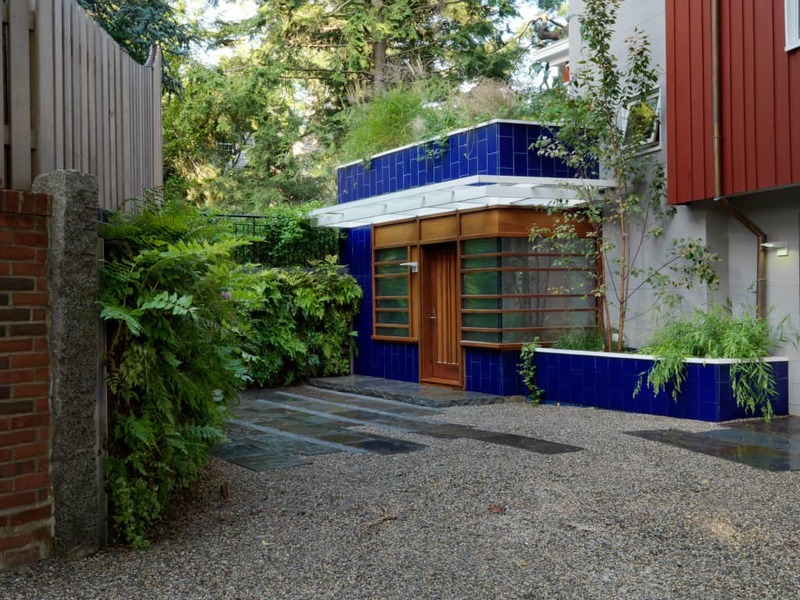 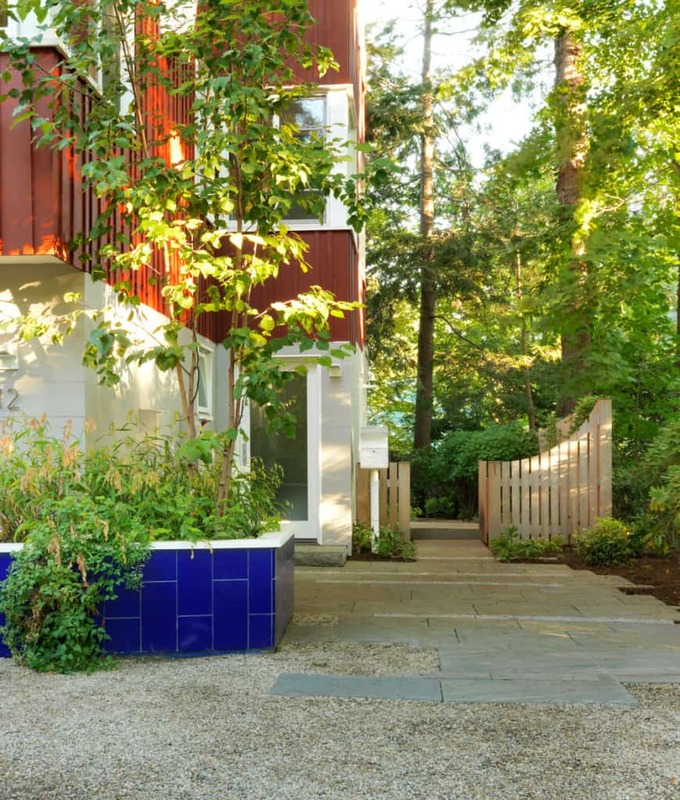 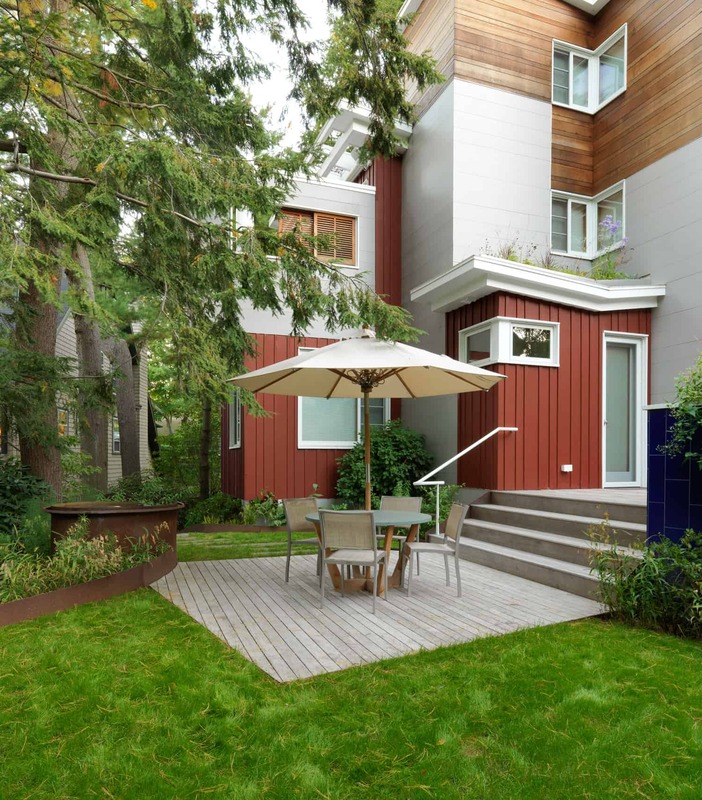 Native plantings spill over the top of an exterior planter wall faced with blue tile around an angular Ipe deck. 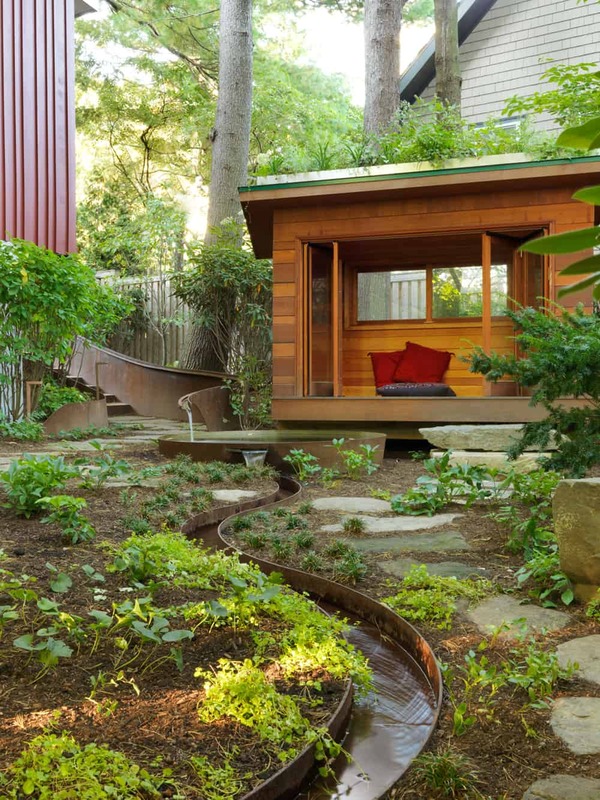 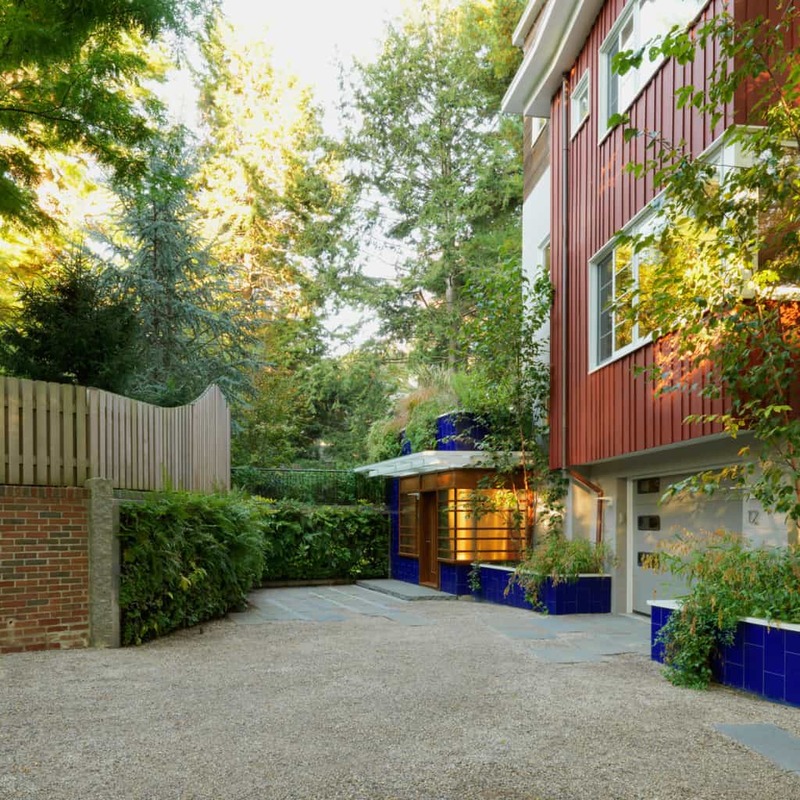 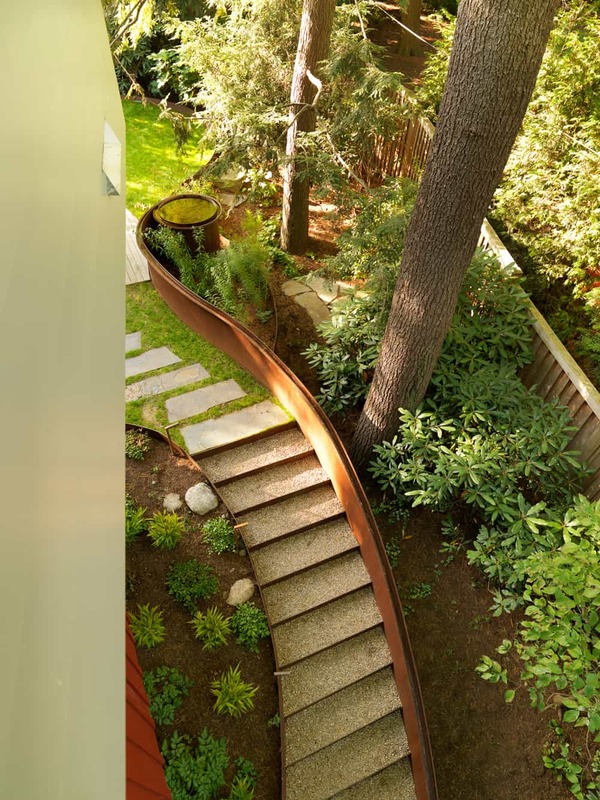 The small curving lawn is edged in steel and surrounded with native trees and shrubs that screen the neighbors. 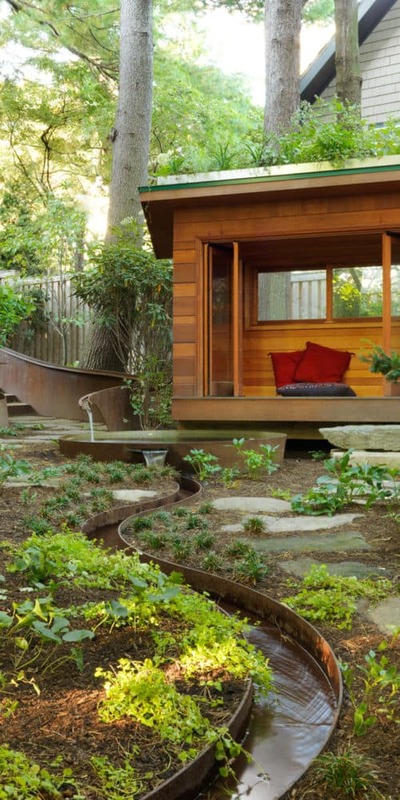 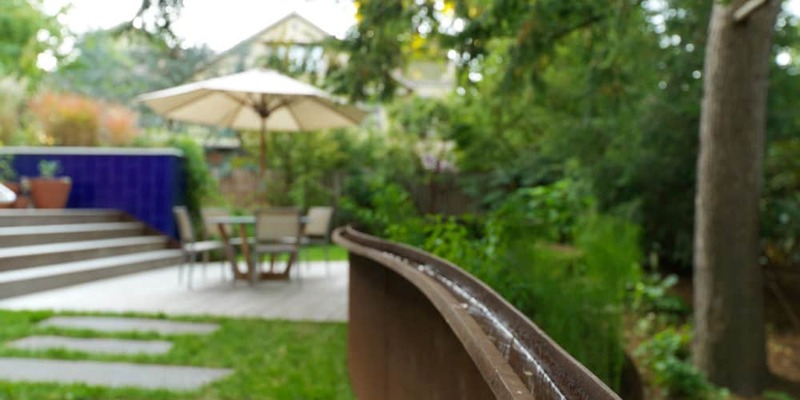 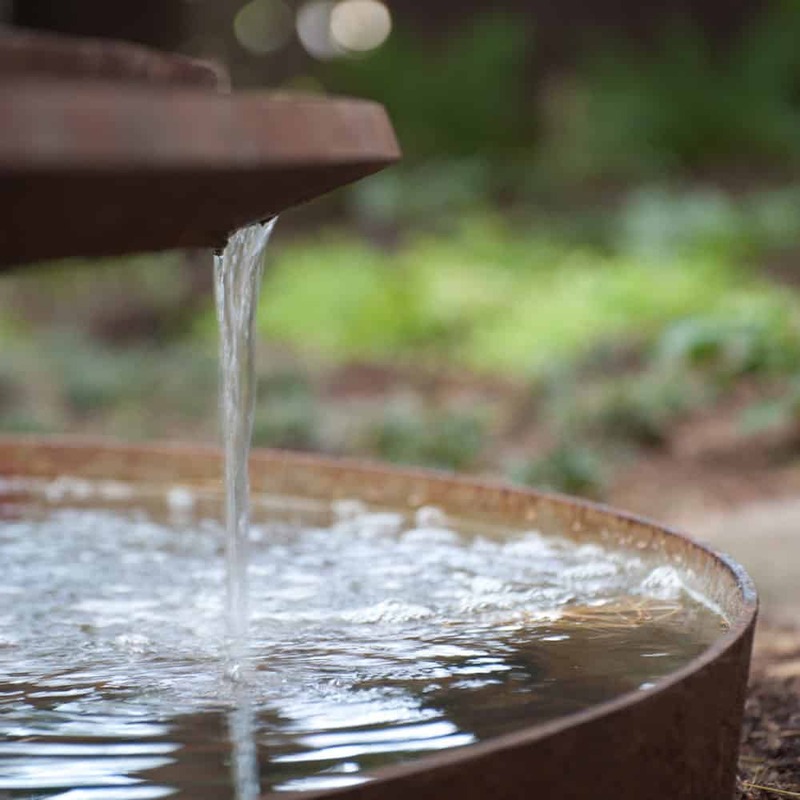 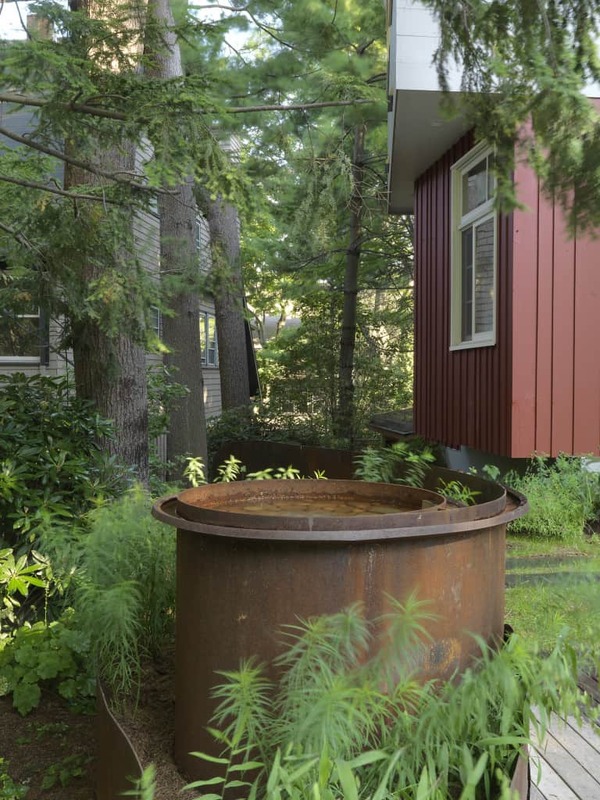 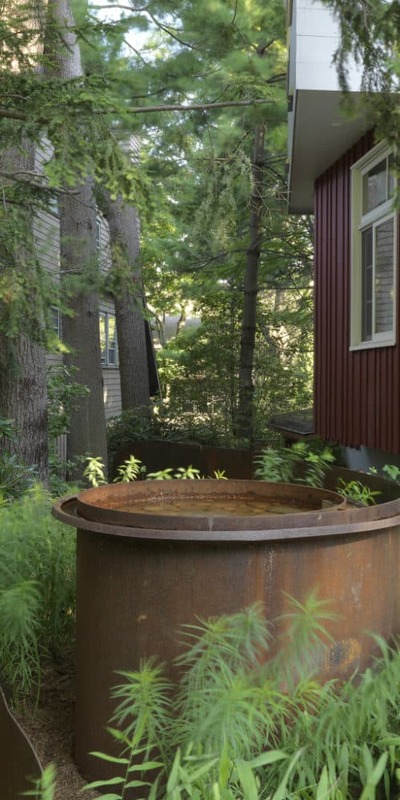 The cylindrical steel water bubbler forms the beginning of the water journey that travels from the upper landscape to the lower level around the back of the house. 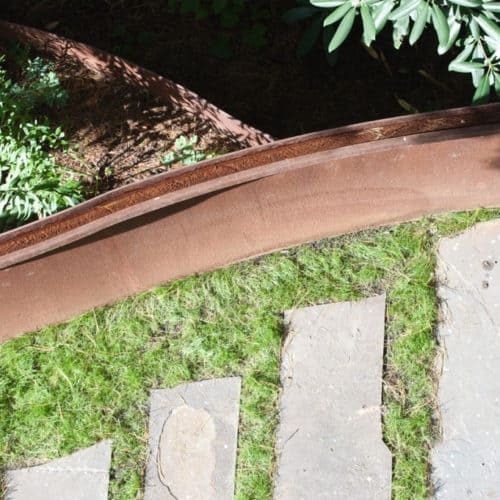 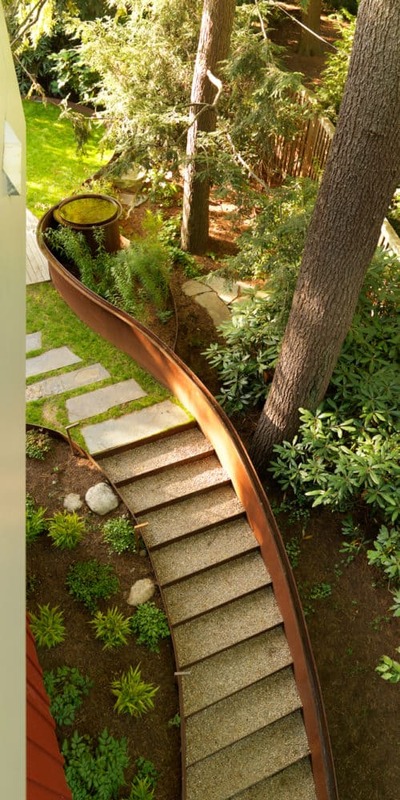 The “handrill” of Corten steel follows the peastone and steel steps down a steep slope. 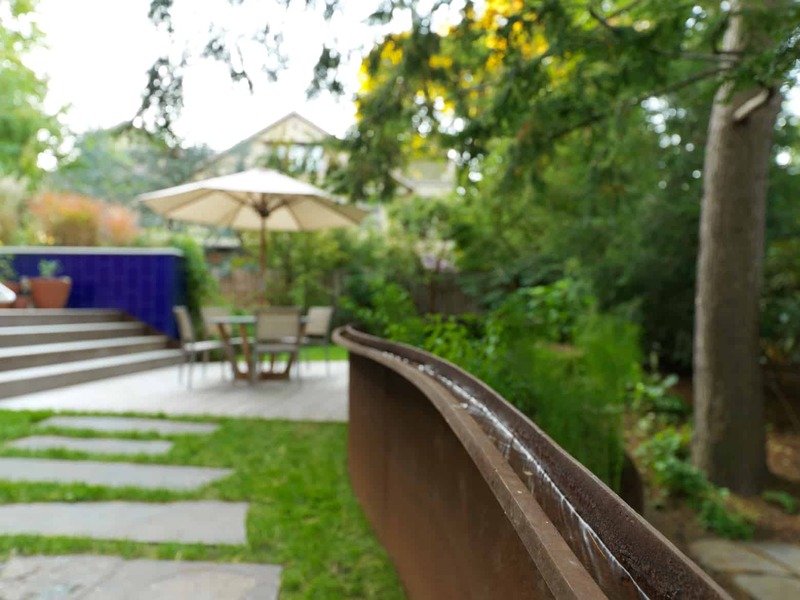 After flowing down the slope alongside the staircase, the handrill pours into another round basin, emptying into a channel that meanders through the narrow back garden at ground level. 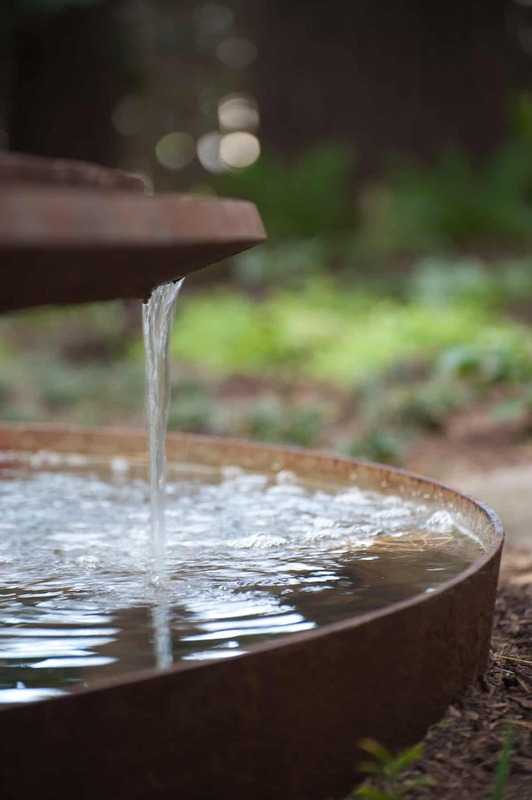 The water journey ends in a riverstone delta around a boulder fountain. 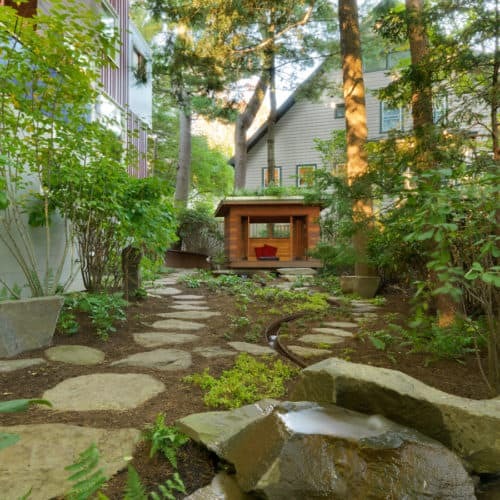 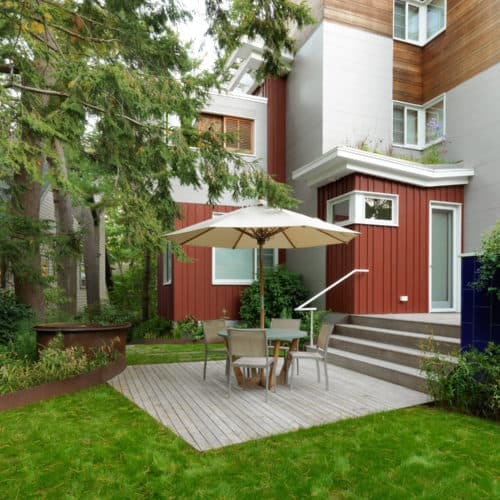 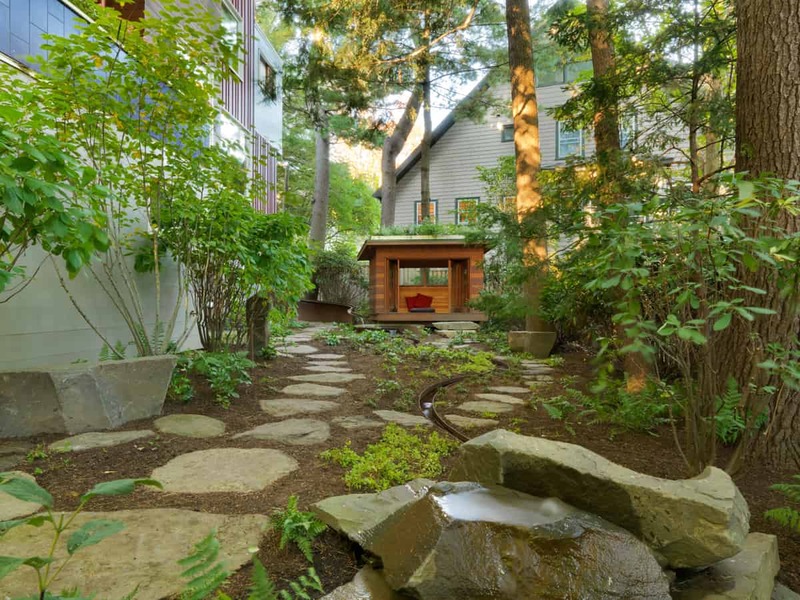 General Contractor: GF Rhode Construction, Inc.
Landscape Contractor: Robert Hanss, Inc.